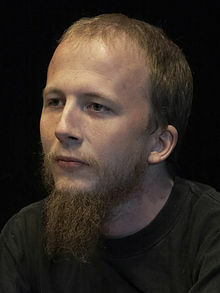 The Pirate Bay co-founder Gottfrid Svartholm, charged with hacking companies and bank. The co-founder of The Pirate Bay Gottfrid Svartholm has been charged with hacking.Together with three others he is suspected of hacking several companies including a bank, from where he allegedly attempted to transfer money. This are the new changes that will most likely mean that Svartholm will remain in prison when his Pirate Bay sentence concludes next month. The charges has been made by a Swedish prosecutor. The Pirate Bay Away From Keyboard, TPB AFK released. And you guessed it right you can download this movie from The Pirate Bay ! You can even watch it on the YouTube see official video of the full movie below. Or you can pay $10 to watch it from their site, link in the Source link at bottom. There is an upcoming documentary about The Pirate Ba, TPB AFK. Which shows about the life of the founder of the worlds most popular torrent tracker. And if you have been wondering what does TPB AFK stands for, it means The Pirate Bay Away From Keyboard, watch the official trailer below. AA line that I liked from their website “Coming soon to a hard drive near you!” That’s classic they knew that people will download the movie from torrent! Although this is a free movie, you can pre-order the movie for $10. For more info click the source link.